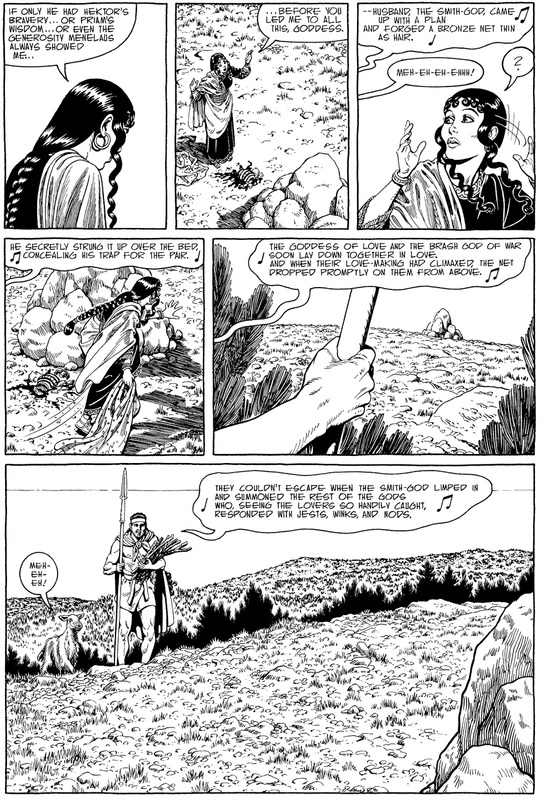 Here's a sample of one inked page of Age of Bronze issue #34, the next issue in the series. Click on it if you want to see it larger. 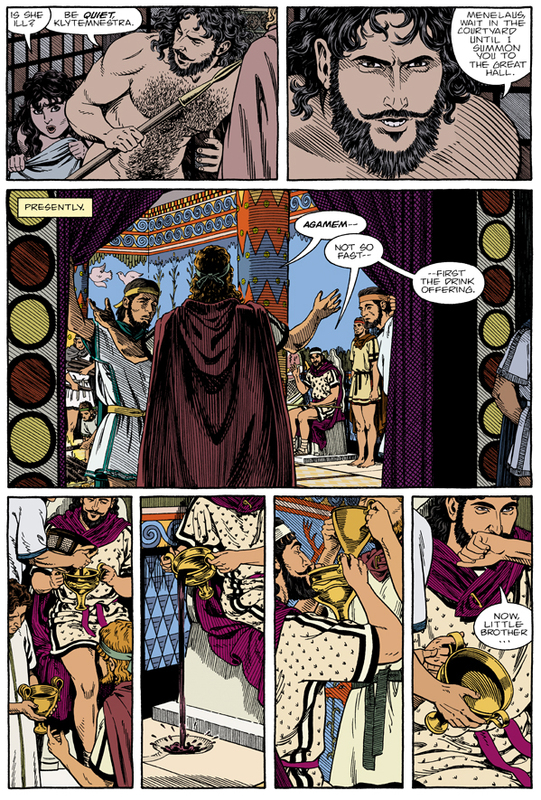 John Dallaire is currently coloring this and other pages from issue #34 now. Age of Bronze issue #34 will be released in full color by Image Comics in digital format on Comixology in early 2019. Copyright © 2018 Eric Shanower. All right reserved. 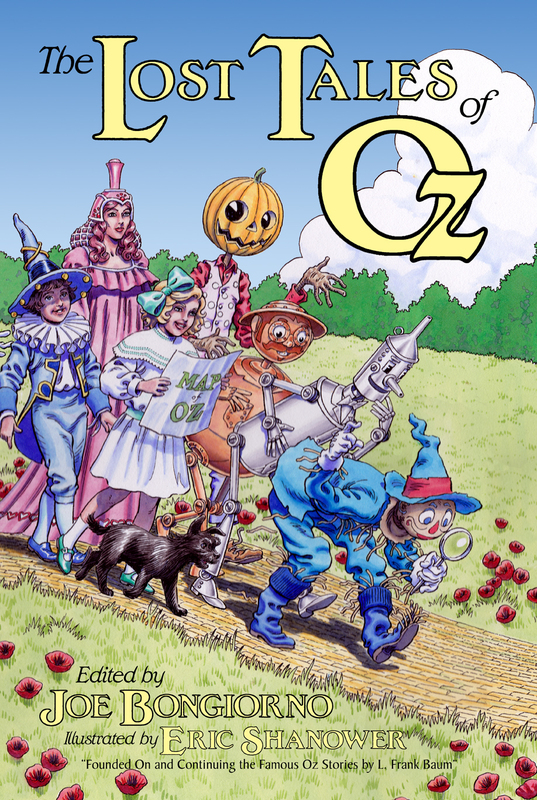 A new book of Oz short stories has just been released with my illustrations: The Lost Tales of Oz edited by Joe Bongiorno. 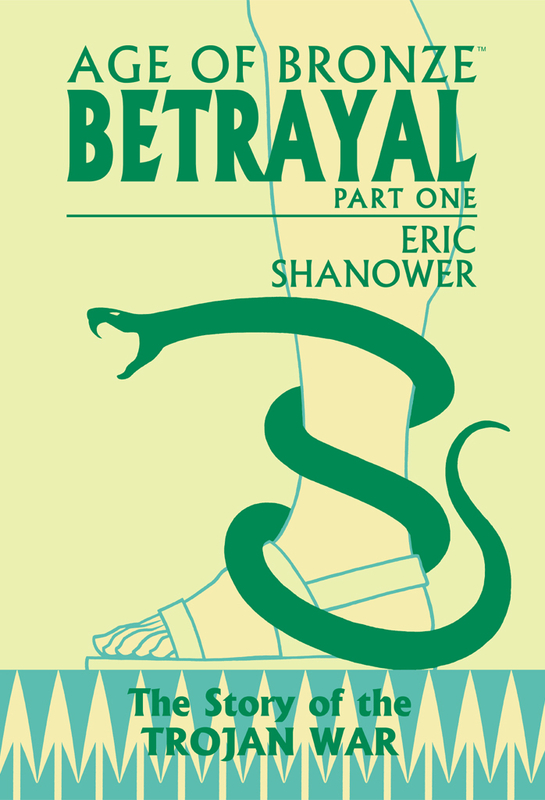 I contributed one short story, as well as 37 black-and-white illustrations and a wraparound dust jacket painting. 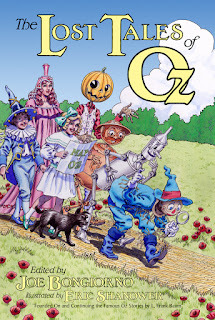 The Lost Tales of Oz is published by The Royal Publisher of Oz and is available for order at this link. The 18 stories are written in a wide array of styles and genres. Some of the stories are appropriate for casual readers, while other stories require a general knowledge of L. Frank Baum's Oz books to "get." The authors include Michael O. Riley, J. L. Bell, Andrew Heller, Paul Dana, Jared Davis, Marcus Mebes, David Tai, Mike Conway, Nathan M. DeHoff, Jeff Rester, Sam Sackett, Joe Bongiorno, Margaret Berg, and me. Copyright © 2018 Eric Shanower. 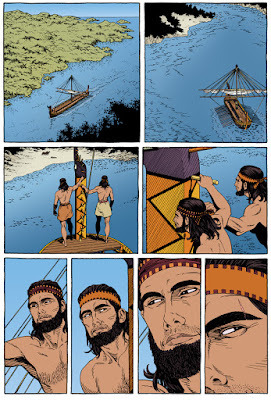 Ross Johnson of Barnes & Noble's Science Fiction and Fantasy blog recently conducted an interview with me about the new full-color edition of Age of Bronze Book 1: A Thousand Ships. Here's the link to read it. It's always enjoyable to discuss my work, especially a project that's so close to my heart as Age of Bronze. 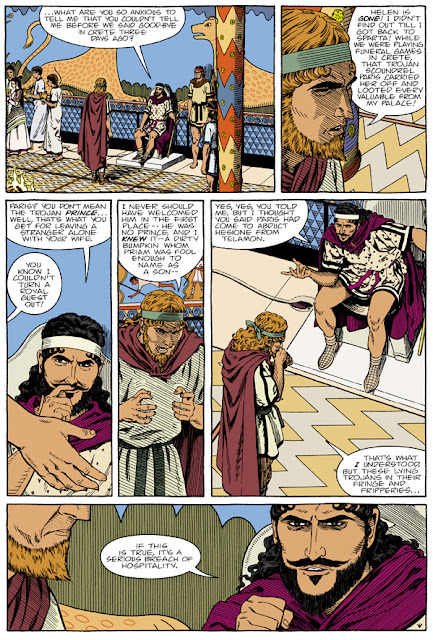 Johnson covers some of the standard questions, but he moves into territory I'm not often asked about, such as archaeological mysteries surrounding Troy. 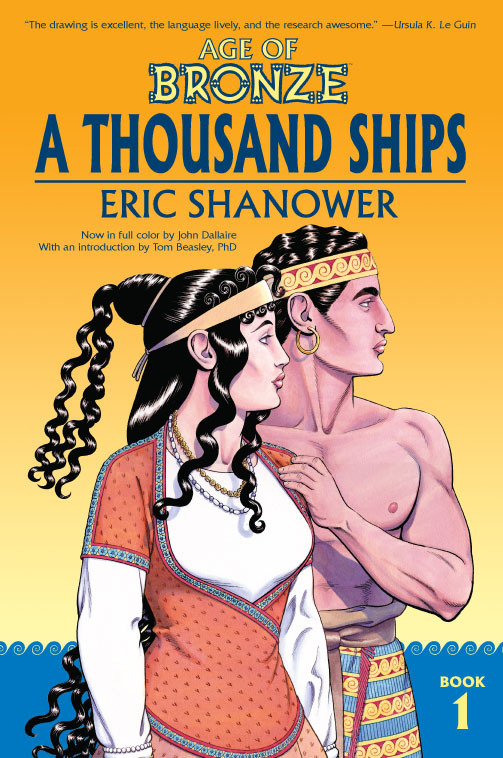 Age of Bronze Book 1: A Thousand Ships is now officially published in full color. If you haven't picked up your copy, run over to your local comics store to get it. You can also order the book signed by me at this link. For your viewing pleasure, I've included below three color pages from the book as a sample of what you get inside it. John Dallaire is the colorist. I think you'll enjoy his work on Age of Bronze. 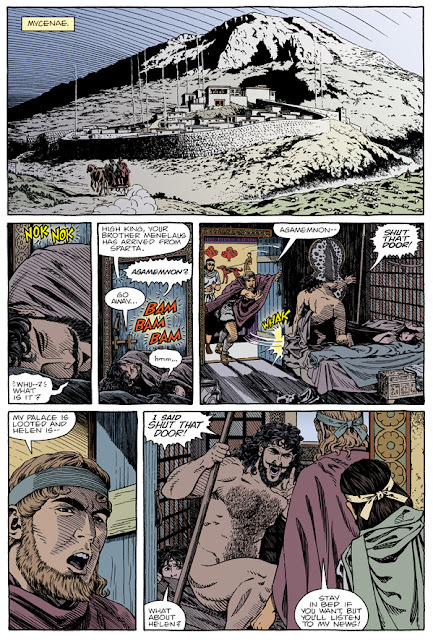 There's plenty more of this Trojan War story action in the 224 pages of full-color comics art inside A Thousand Ships. You also get a brand new introduction to the story from Tom Beasley, Visiting Assistant Professor of Greek and Roman Studies at Vassar; an updated Afterword by me; a couple pieces of never-before-published color artwork; along with maps, pronunciation glossary, and bibliography. Whether you're new to Age of Bronze or you've been reading the series since it began, I think you'll be pleased by the new color look of what Publisher's Weekly called "a fantastically rich narrative." Color copyright © 2018 John Dallaire. 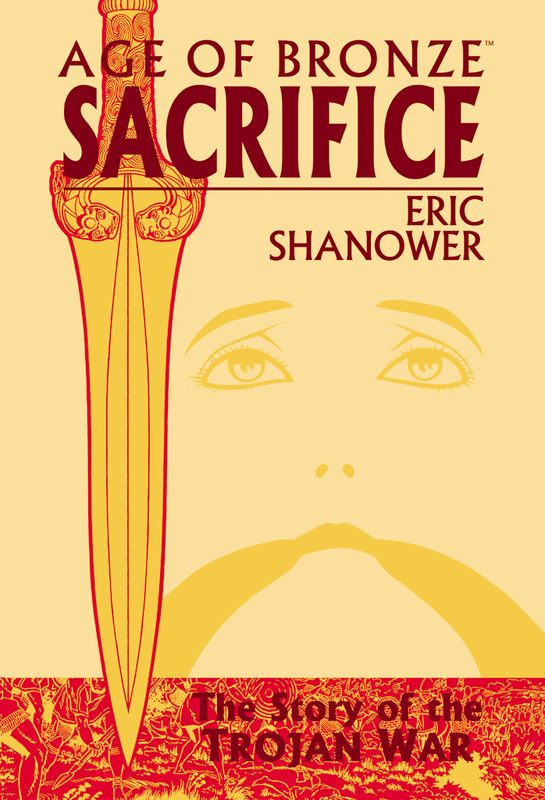 Age of Bronze and the likenesses of its prominent characters are trademarks of Eric Shanower. Michael C. Lorah of CBR interviewed me about Age of Bronze in conjunction with the release of Age of Bronze Book 1: A Thousand Ships in color. Click here for the link to read the interview. 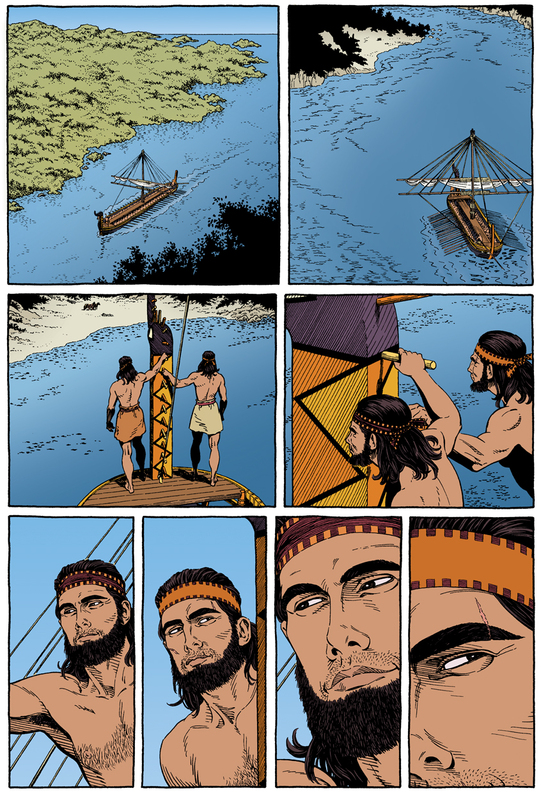 Image Comics has released the new full color edition of Age of Bronze Book 1: A Thousand Ships at last! John Dallaire's coloring looks beautiful! Geek Out recently recorded an interview with me about the new color A Thousand Ships and about Age of Bronze in general. Listen to that podcast by clicking here. 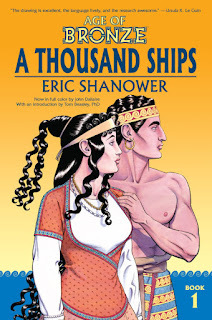 You can order your copy of the new, full-color A Thousand Ships at this link. 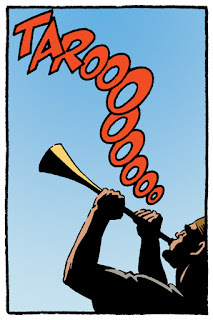 I like to support comics retailers, so if you have a local comic store, ask it to reserve a copy of Age of Bronze Book 1: A Thousand Ships for you. But if you don't have a local comic store or you just can't wait until September 12, you can buy it from me immediately by clicking here. I'll sign each copy ordered until further notice. If you want your copy personalized, simply include your preferred text in the "Special Instructions" box during the ordering process. In an earlier post I included sample pages from A Thousand Ships in full color. See those sample pages by clicking here. 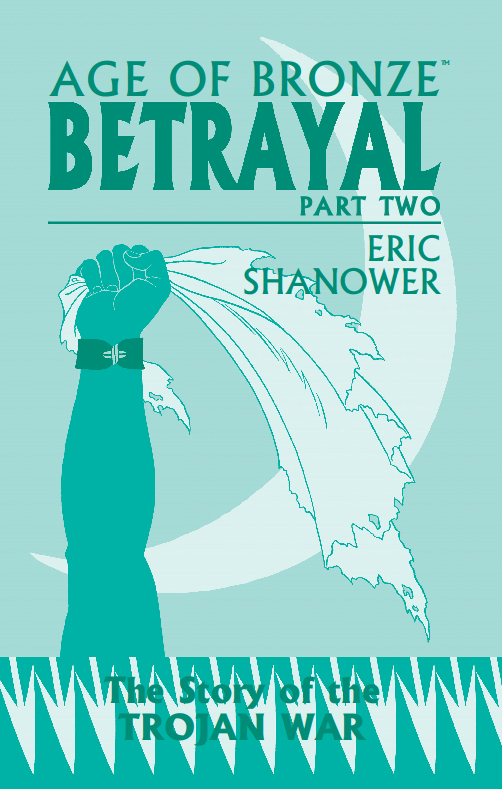 And see a different 18-page sample on the ordering page here.